We are using WhatsApp as well. Björkholm is located in the Archipelago area of Parainen/Pargas in the southwest of Finland. We are year-round on the island. All our cottages and other services are available after the melting of the ice in April till the beginning of November. The ferry port Granvik can be reached by a 45 minutes car drive or day trip by bicycle. From the city of Turku/Åbo take the number 1 road to Helsinki. Exit at 6 to road 180 towards Parainen/Pargas. 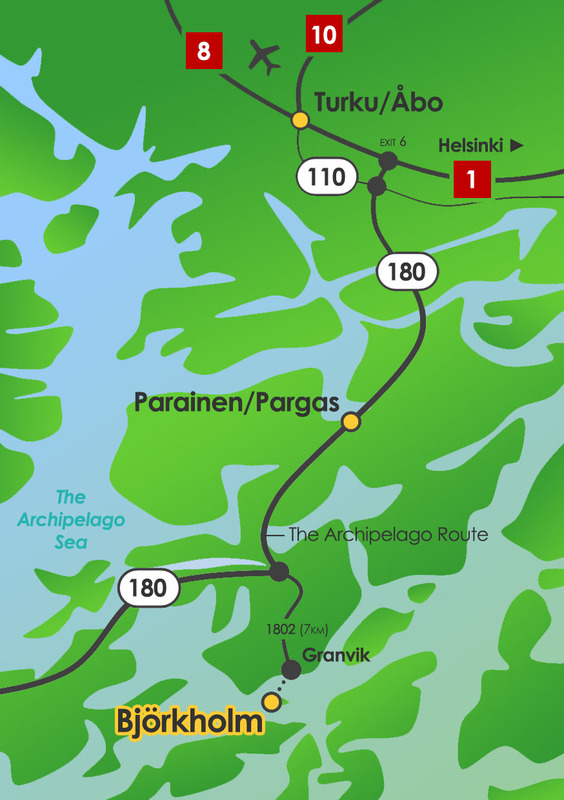 By bicycle, you will most likely follow the 110 from Turku/Åbo and take road 180 towards Parainen/Pargas. Following The Archipelago Route (180) turn at the sign 'Björkholm' to ferry port Granvik (1802). 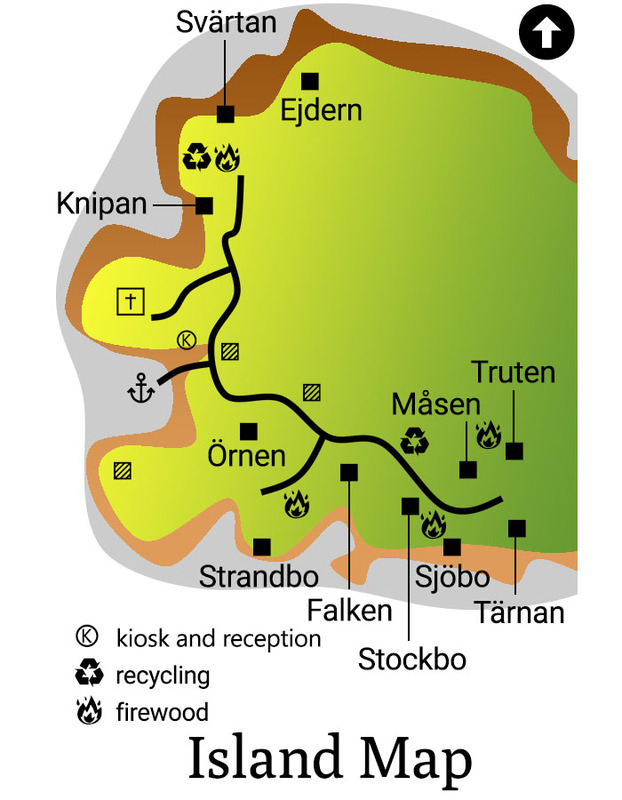 You will be passing Parainen/Pargas on 16 kilometers from Björkholm. Coming from The Archipelago follow the sign 'Björkholm' to the ferry port Granvik. From Granvik the free of charge ferry M/S Viken will take you to Björkholm within 15 minutes. Please check the ferry times. If your arrival time does not match the ferry times please contact us.